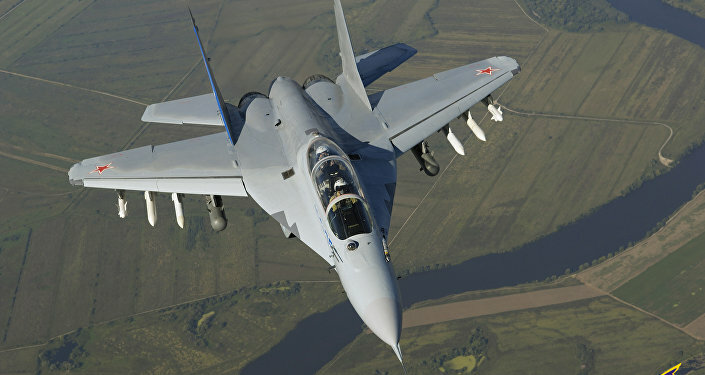 Moscow will deliver MiG-29 fighters to Egypt on schedule, a Russian military cooperation official said. ABU DHABI (Sputnik) — Russia's contract on the delivery of MiG-29 fighter aircraft to Egypt is on pace with its schedule, Federal Service for Military-Technical Cooperation (FSMTC) Deputy Director Alexei Frolkin said Monday. "The delivery will be carried out within the period set out in the contract," Frolkin told reporters at the IDEX 2017 exhibition in the United Arab Emirates. The contract, reportedly initiated after Russian President Vladimir Putin's meeting with Egyptian leadership in February 2014, would be the largest order for the MiG-29 jets in the post-Soviet period.